Dramas, sagas and dropkicks. 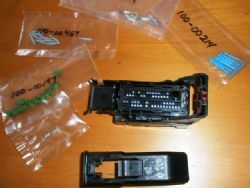 The latest hurdle to come up in the ongoing restoration of Project Nomad was the computer connection for the body harness. 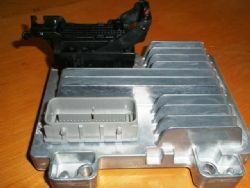 When I purchased the LS2 6.0L V8 it came with most of the necessary stuff including a full engine harness and an E38 ECU. 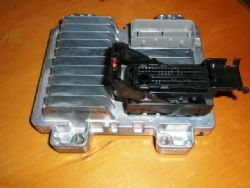 The E38 ECU is the heart of the wiring system and I have already had it reprogrammed to delete a range of functions that I won’t require on the Nomad. On a Commodore it manages the engine functions, ignition, shift point on an automatic transmission and a range of other stuff that is not necessary when transplanting one of these engines in an older car. I need it to manage the engine, oxygen sensors and the speedo signal and not much else. No wrecker was keen to have anyone chop the end off a loom so the new option was the path I went down. Five hours on the internet provided a few leads locally and when I rang local companies to see if they could help their response was totally under whelming. Everyone wanted me to bring the car into their workshop which was not possible. Some wanted to do the entire wiring on the Nomad and this was the only way they would provide the necessary expertise and parts to put it together. Some had the connector but would not provide me one claiming that they needed to do everything for it to work properly. My conclusion was all these drop kicks could go and play in the traffic. After a few more hours looking and searching overseas I struck gold. A company called EFI Connection in the US could provide all that was required. The owner, Mike Noonan responded to my email over night and provided the link to allow me to purchase it online. Four days later the parts arrived in the post and I couldn’t be happier. All up under forty dollars to solve the drama. 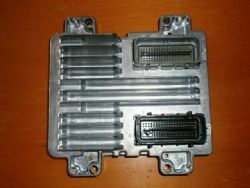 If you are interested, check out the 73 cavity E38 connector and related items that can be ordered online at http://www.eficonnection.com/eficonnection/ConnectorDetails.aspx?ItemId=314. Henshaws are customizing an American Autowire body harness for me and now we have the ability to connect this to the computer. Hallelujah. I wonder what is next?